Hello hello. Hope your year is going splendidly. So far January has been pretty good and I’m looking forward to February. Hopefully winter will come back as our ski area could definitely use some more snow. But it’s open so I’m not complaining too much. Last week I ran in shorts which is a little strange for January in Montana, so I wouldn’t mind if it cooled down a bit. In any case, I’ve been in an apple mood the last couple weeks and while I was deciding what to make I recalled the muffins I made during a semester abroad in Scotland. All I could remember is that the recipe was on allrecipes.com and there was a crazy amount of apple in it. And it took forever to chop it all by hand. After some dedicated searching, some slight modifications, and two batches of muffins, I have the recipe here to share. 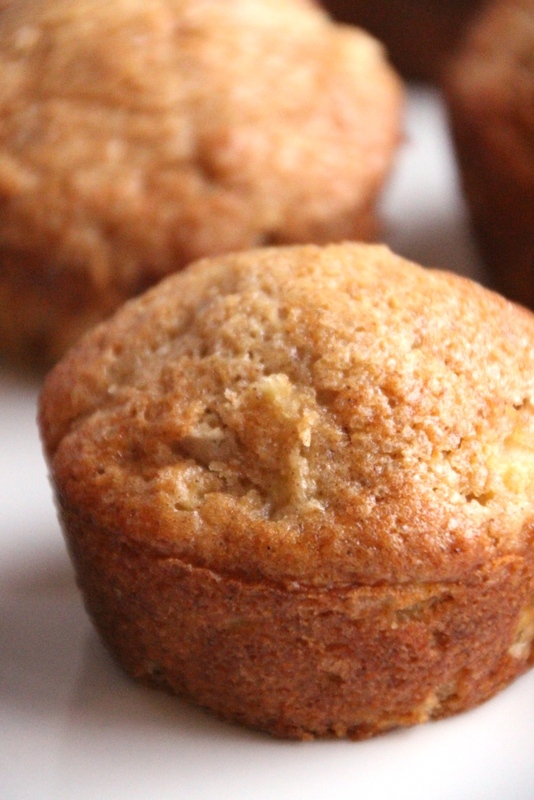 These muffins are moist and bursting with apples. A sweet topping (if you want) and the addition of cinnamon make these a lovely treat or breakfast for any time of the year. Chopping the apples will be very quick if you employ the use of a corer/peeler contraption, but even by hand it’s definitely worth the effort. 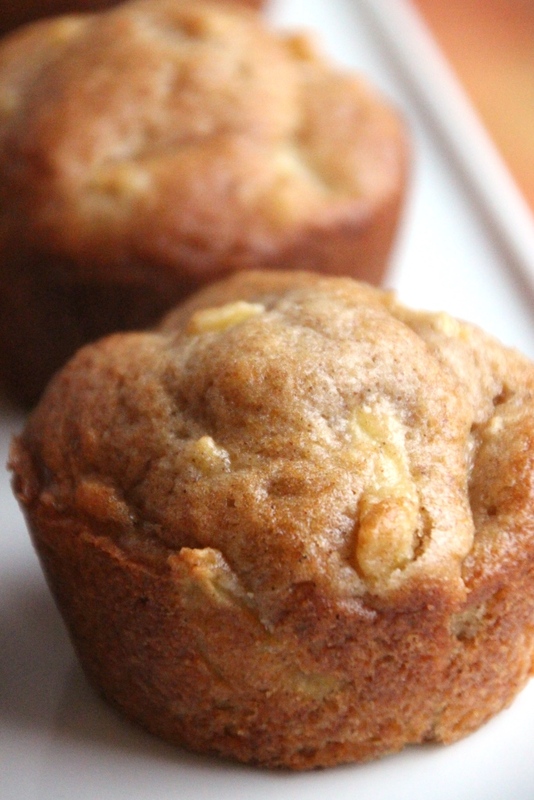 Apple cinnamon muffins sans topping. 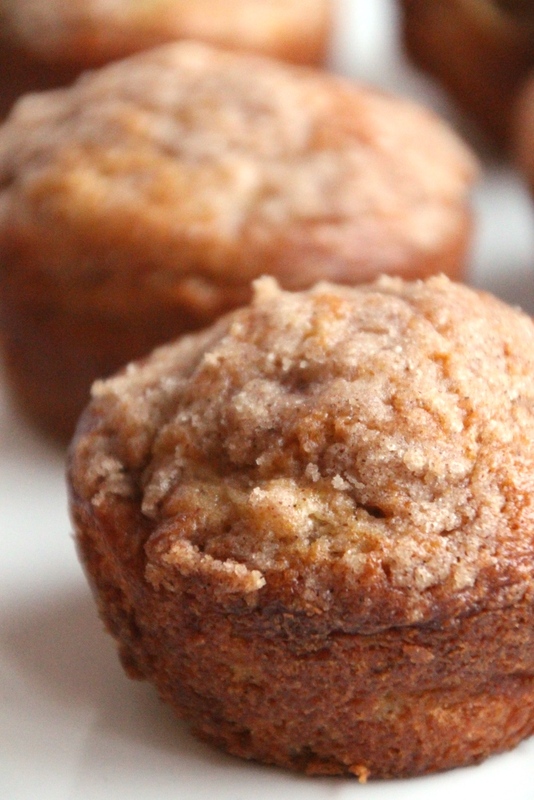 The original recipe calls for a sugar crumb topping which is excellent, but the muffins are also great with just a dusting of raw sugar or just plain. I imagine they’d also be great with some regular cinnamon and sugar on top although I haven’t tried this. I promise to do so next time. Whatever weather has graced your corner of the world, these muffins will be a delicious addition to your day. Note: This is not a recipe to use up old apples. The apple is VERY prominent so make sure you pick good ones that you’d be fine eating plain. Preheat oven to 400 degrees Fahrenheit. Liberally grease a muffin pan or line with paper liners. In a large bowl, whisk together dry ingredients until well blended. Set aside. In a small bowl, whisk together wet ingredients until well blended. Set aside. Peel, core, and chop the apples into small pieces. Set aside. If desired, mix the topping ingredients with a pastry blender or your hands until the mixture comes together. It should be well mixed but crumbly. Make a well in the dry ingredients, pour in the wet ingredients, and gently mix with a spatula until moistened. Batter will be thick. Gently stir in the apples until they are evenly distributed. Apple to batter ratio will look very high, but this is normal. 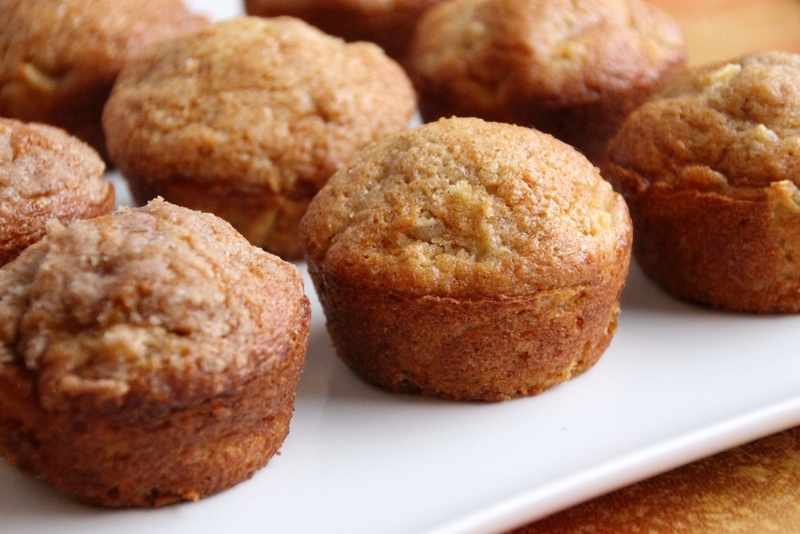 Fill muffin wells 2/3 – 3/4 full and sprinkle with topping mix, raw sugar, or leave plain. Bake for 20-25 minutes, until a toothpick inserted near the center comes out clean. 1 I used jazz apples because that’s what I had on hand, but any green or pinkish variety should be great. 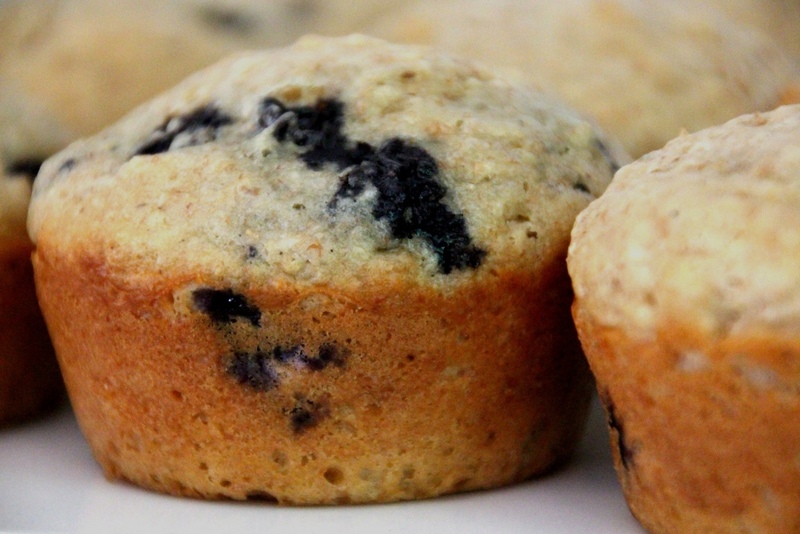 These muffins make an amazing breakfast or snack, and are awesome for pre- or post-run energy. Nice and filling but very flavorful, these are a slightly healthier alternative to a prepackaged granola bar. They are dense, packed with blueberries, and stick with you. A subtle oatmeal flavor steps them up a notch from your usual blueberry muffin recipe and Greek yogurt adds a little extra protein. 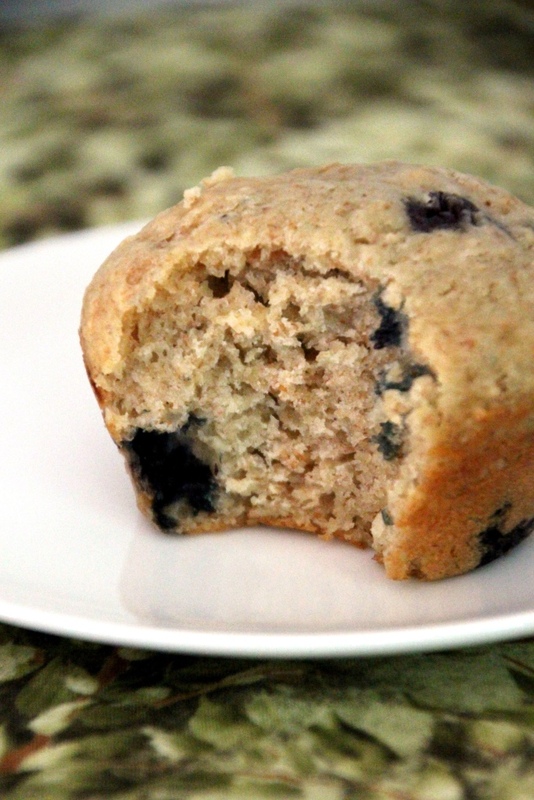 My new go-to recipe for blueberry muffins has been changed to this one for their amazing flavor, texture, and fillingness. (That’s a technical term.) Warmed and spread with butter, these are delicious all week long (if you haven’t eaten them all before then) any time of the day. Round them out with some scrambled eggs and a cup of coffee and you have an easy breakfast for any day of the week. Preheat over to 350 degrees Fahrenheit and lightly grease a muffin tin. If desired, use a blender or food processor to reduce the size of the oats. Whisk together flour(s), oats, sugar, baking powder, baking soda, and salt in a large bowl until completely combined. In another bowl, lightly beat eggs, yogurt, butter, and vanilla. Add wet mixture to the dry mixture and stir until just combined. 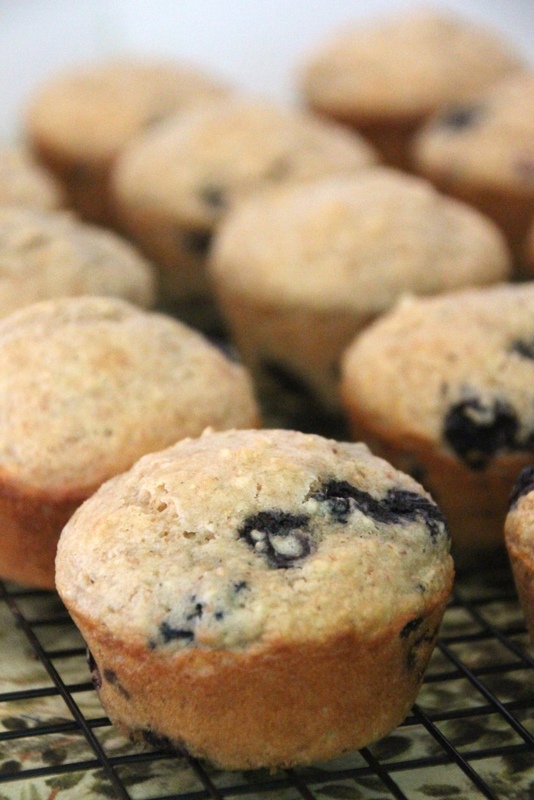 Toss blueberries with remaining flour, then gently fold into the muffin batter. 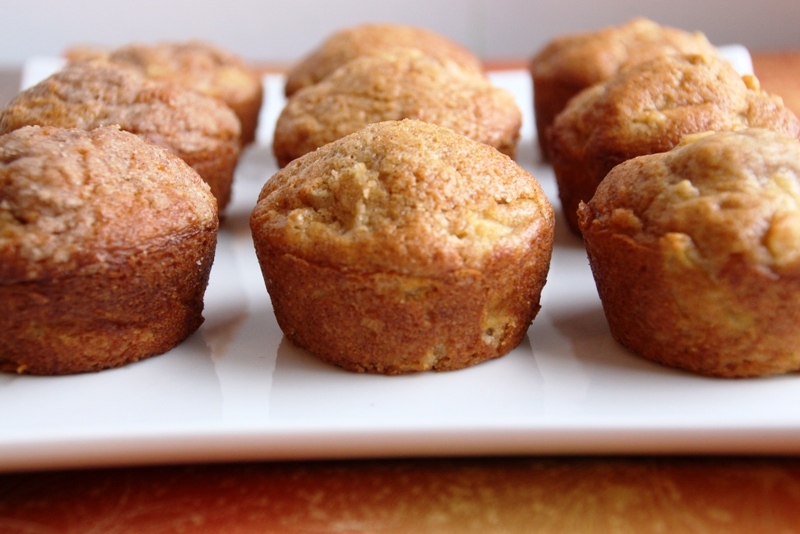 Fill each muffin well with 4-5 Tbsp batter, and bake 20-25 minutes. Tops should be lightly browned and a toothpick should come out clean.